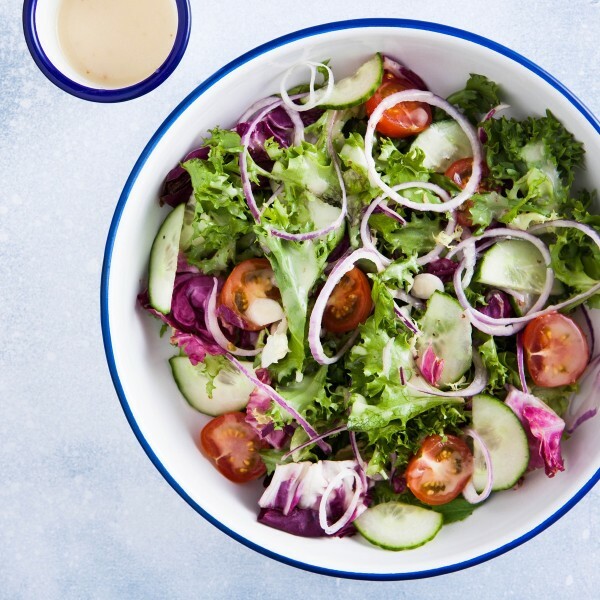 This Mixed Leaf Salad keeps things simple with a straightforward combination of crisp mixed lettuce, chopped cherry tomato, red onion and fresh cucumber, along with a serving of our homemade D|F French dressing. We present it to you in a large serving bowl for your convenience, serves up to 10 people. Toss the salad with dressing and serve.